On January 17, ALA Editions is launching a four-week, facilitated eCourse, Young Adult Readers’ Advisory, with Jessica E. Moyer, an ALA Editions author and LIS adjunct faculty at University of St. Catherine in Minnesota. ALA Editions interviewed Jessica about the course. To learn more and enroll, see the listing at the ALA Store. I had a chance to talk with Jessica about her background, and what students can expect from this course. 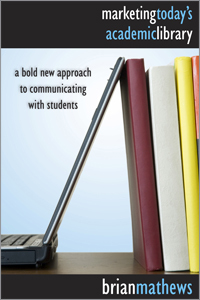 Patrick Hogan: What’s your approach to teaching readers’ advisory in an online environment? Jessica E. Moyer: One of the reasons I enjoy online teaching is the opportunity for all students to be fully involved in the course, regardless of where they are. I create weekly discussion topics and expect all students to contribute regularly - the more contributions we have, the better the discussion. Every time I teach I find that I learn new materials from my students and their interests and experiences. PH: What are a few of the factors that distinguish readers’ advisory services with teens from adult service? JEM: I find that adult readers often know more about they like to read where as teen readers can struggle to say exactly what kind of reading experience they are looking for. This means librarians suggesting books to teens may need to ask more questions, work with dislikes instead of likes and provide lots of interesting suggestions. PH: It seems like establishing rapport would be the critical. If a YA librarian has a knack for that, what readers’ advisory skill would deliver a big boost in service? JEM: Knowing how to talk about books in ways that teen will not only understand but will entice them into reading. Knowing which books are mostly likely to appeal to certain readers. PH: A popular perception is that teens have neither the time nor the desire for leisure reading. What is your research telling you on that? JEM: Teens do want to read, but they are limited by time. I’ve found, however that they are more limited by access. If they can get access to materials they like and want to read, at a time they have a chance to read, they will read. But often there are too many barriers - not sure what to read, no easy way to get it. This is one reason I am excited about ebooks and digital library services - anything that will make it easier to get reading materials to teens when they have time to read. PH: You’ve probably learned from questions and discussion boards from your previous teaching experience. What about readers’ advisory with teens do librarians find most challenging? JEM: Knowing when and what adult books to suggest. Lots of teen readers like reading adult books, but aren’t sure what to read that they will enjoy. Most teen librarians are familiar with the YA collections but may not know much about adult books so they can be challenged when working with these types of teens. Cross-posted at the ALA TechSource blog. We're happy to announce another ALA TechSource Workshop--Using E-Books and E-Readers in Your Library with Sue Polanka. With the recent explosion in the popularity of eReading devices, many librarians are grappling with how to effectively integrate these devices into their services and collection. In two 90-minute sessions on January 25th and February 1st, 2011 at 4:00pm Eastern, Sue Polanka will provide practical guidance on how to begin purchasing eBooks for your library to lend electronically and how to purchase eReader devices for patron use. The first session will provide a basic primer on acquiring eBooks, while the second will provide an overview of the issues surrounding library lending of eBook readers. Sue Polanka is Head of Reference and Instruction at the Wright State University Libraries. She has provided reference and instruction services in public, state, and academic libraries for nearly 20 years. Her passion for reference and electronic resources spawned her eBook blog, No Shelf Required, a discussion of ebooks for librarians and publishers. She is also the author of the book No Shelf Required (ALA Editions 2010). She is Chair of Booklist's Reference Books Bulletin (RBB) Advisory Board and maintains her column, Off The Shelf, for RBB. Sue is a frequent contributor to Booklist and presents at many state and national conferences, usually on her favorite topic - eBooks. Registration for this ALA TechSource Workshop on January 25th and February 1st, 2011, at 4:00-5:30 (ET) can be purchased at the ALA Store. To learn more, please refer to the ALA TechSource Workshops Frequently Asked Questions. ALA TechSource Workshops are designed to give you and your staff the opportunity to participate in a hands‐on learning experience that will help you make the best technology decisions for your library. After several years of planning, Google has finally launched their ebookstore. And hundreds of ALA Editions titles are now available, from recent bestsellers such as No Shelf Required: E-Books in Libraries to 1969’s ALA Rules for Filing Catalog Cards. Unlike many other e-book platforms, Google lets you use just about any device you own to read any book, anywhere. You can read e-books purchased from Google on the web, Android phones, iPhone, iPad, iPod touch, and several supported e-readers. Their overview is well worth a read. You can browse this list of selected ALA Editions titles or use the search function to find a specific book. We’ll be adding more titles as they become available. All this talk about libraries not being real libraries anymore because there are more computers being used than books makes about as much sense as saying that paperback romances are edging out hardback classics on library shelves! Library services and collections are NOT mutually exclusive! Our value is growing! It's good news! The doom and gloomers are missing the point if they don't see that the advent of technology, the need for PC connection, the desire to learn how to live online makes public libraries even more relevant and important to their users than ever before - not less! I think a lot of what the article said is true; reference desks will become obsolete as we accept that our 21st-century customers want a different library experience, for example. But one point in this piece is, I think, completely off-base. We're not allowing gaming in order to trick a teen into checking out Dostoevsky but, since gaming and meeting other relevant new needs just may help keep the doors open, he'll at least have a chance to find a copy if he wants one - at his thriving public library! Oh well, I remember when a few librarians were upset when we put jigsaw puzzles in the library, back in the 80s. But everyone else loved them. At my local public library (Brewster, MA) they let a user assemble a puzzle on a library table where passers-by can take a look or stop to help and socialize. Many public libraries have started chess and scrabble clubs. Every community needs a community center and in my small town that is de facto the public library. What better place? It's accessible and open 6 days a week. The meeting room is always busy. Local artists display their work there. A huge bulletin board is available to community groups to post notices. The display case features monthly exhibits by local hobbyists--from needlework to beautiful sailor's valentines. The public computers are always in use; in fact people help each other at the terminals. Mothers chat with each other while their children are at story hour. Public libraries perform a social function as well as an educational one--and they always have. I'm lucky to live in a community where the library fosters this. Janet Husband, author of Sequels (ALA, 2009) and eSequels.com. I think he is right. I know that isn't a popular opinion in libraries and I even included video games in my new book from LU, but that was because I knew they were in libraries. . . not that I want them there. I often think he is right. He just sometimes says things in a really controversial way. You can quote that anonymously. Any program or service that brings people new to the library inside our doors presents an opportunity for us, the library staff, to show them everything else we have to offer them. They can not know the breadth of information and materials we have if they never come through the doors to see it for themselves. The article muddles academic and public libraries, which have different missions. Anything we can do to get patrons into libraries is good. In-person visits to public libraries in 2009 increased 10% compared with a 2006 ALA household survey. Seventy-six percent of Americans visited their local public library in the year preceding the survey, compared with 65.7% two years ago. Online visits to public libraries increased even more: 41% of library card holders visited their library websites in the year before the poll, compared with 23.6% in 2006. Libraries, like most public entities, are in a time of retrenchment – doing less with less. Times like this also offer an opportunity to try new things, keep those that working well, and let go of functions that don’t serve us as well as they did in the past. From a business perspective, many libraries are looking for a new business model. In every business model, the organization needs to clearly understand its core processes or what it does best. If a library provides a coffee shop better than the top competitor in that area (Starbucks, etc.) then it should provide that service. If a library is able to provide a competitive coffee service because its revenues are subsidized by taxpayers and consequently it does not face the same cost structure of a for-profit organization, this is not a real library core process. Without a clear identification of core activities and a means to improve them (balanced scorecard, etc. ), it would be expected to see the start of all sorts of flailing activities from game to slumber rooms. While this was just a small sample of opinion, clearly there is no consensus as to what the “library” should be. In just over six months many libraries will be celebrating bilingual literacy during El día de los niños/El día de los libros (Children's Day/Book Day). The time to start planning those activities is now! Resources and ideas are available on author/advocate Pat Mora's website, http://www.patmora.com/dia.htm, and in postings to her blog, http://sharebookjoy.blogspot.com/ as well as in other publications like ALSC's brochure (http://www.ala.org/ala/mgrps/divs/alsc/initiatives/diadelosninos/index.cfm) and in publications listed on the ALSC website. One item that merits immediate attention as you prepare for Día is the ALSC Everyone Reads @ your library mini-grants that are intended as an expansion of El día de los niños/El día de los libros (Día). Funds will be awarded to libraries that demonstrate a need to better address the diverse backgrounds within their communities but applications are due by November 29, 2010. For more information, and the application form, go to http://everyonereads.zhost.net/. J. Michael Jeffers: Brian, you are working on a new book for ALA Editions that you are tentatively calling “Library DNA: Twenty Essential Qualities of an Inspiring Library.” Where are you going with this book? Brian Matthews: Some people think we’re in the information business. Others insist we’re in the service business. For years I’ve been saying we’re in the “inspiration” business. This book gives me a chance to explain that a bit more. By stepping away from the components, from all the details like collections, computers, service points and instead diving into the heart of the matter—into what happens when patrons interact with their library—that’s what I am exploring. I’m using the DNA framework to communicate the core experiences that libraries facilitate. To me this book is about the emotions of libraries viewed at a molecule level. JMJ: What is going on in academic libraries today that are reflected in your writing, both the book and your columns for American Libraries? BM: The keyword I keep hearing over and over again is VALUE. How do we express our value to our users and our stakeholders? Obviously the funding situation is leading this, as we have to work to describe why libraries are vital today as ever before. Collaboration is another big thing. Obviously this isn’t new by any means, but there is definitely an emerging interdependence. I’m seeing this especially close-up here with the University of California, as we talk about digital collections and shared services. I’ve seen it with my column interviews as well—how libraries are partnering with everyone they can. JMJ: Is there any particular technology trend or change that is having the most effect, positive or otherwise, on the way college libraries are run? BM: This has been the year of mobile everything. Every week it seems there is something new going on there and librarians are sure talking a lot about this direction. One of the most common searches on my blog is for “library apps.” In this regard, it’s nice to see that some of the database vendors are building mobile platforms-- hopefully others will follow suit. The danger here is that we might be more excited and driven to develop mobile services then our patrons—it’s important that we keep the tech-lust in check. eBook Readers is another trendy area. Many libraries are dabbling with them, but it will be interesting to see what happens when Kindles are $50 and eBooks drop below $5 each. We need to be ready for that surge. We need to provide content to the reading device that emerges. In terms of looking ahead: I’ve very intrigued by the idea cloud-based ILSs and I’m a fan of the Google Books project. JMJ: Can you give me an idea of what new programs your library is implementing in order to improve both student and faculty experiences? BM: We’re in the initial stages of a renovation and new addition. Construction is scheduled to start early 2012. That’s were our main messaging is heading. On one side we’re letting students and faculty know what’s going on and what to expect, but we’re also gathering there feedback on what we need to build and how we can tweak services and collections. We going to be heading into a cocoon of sorts for a few years and hopefully emerge as a more user-driven organization. I’ve also been working on a diplomacy exercise in which I’ve asked our frontline staff a series of questions and then ask our patrons similar questions to see where we match up and what we need to work on. Hopefully this will help move us into being more sensitive and effective. In terms of marketing, we are about to launch a big external campaign around campus. Most of us focus on reaching people who are in our buildings but I want to extend that message beyond the walls of the library or even the classroom. I’m hoping we can build some good word of mouth this next year. JMJ: What are the keys for career advancement in the university library world? BM:I really want to see project management skills. That’s what I’ll be looking for in the next librarian I hire. I want to see that they can develop their own ideas and/or build upon other’s and carry a project through to the end. I guess you can say initiative is critical. I tend to have my hands in a lot of projects and so I need librarians who are creative and driven and open to experimentation, but also super conscious of deadlines. When I’m around a bunch of ambitious people it ramps up my productivity so that’s who I want to surround myself with. Earlier in my career I thought that writing articles and giving talks and just doing my job well was enough, but if you’re talking about “advancement” then “improvement” is the keyword. How can you improve what your library does? Whether you’re in cataloging and you implement some type of mobile widget or you’re in public services and launch a new instruction series, people who advance the library are people who advance in their careers. Those are the people who inspire me. JMJ: What challenges have you faced writing this book? The biggest challenge I’m facing this time around is simply the demands of my job. Over the past year I’ve moved into administration and so the skill set is entirely different. I’ve had a lot to learn. I’ve also turned inward trying to understand how I can best help my library and my university, that’s my number one focus. I spend a lot of time writing emails and drafting documents so it leaves little energy for book writing or the creative process. This book is being written in spurts. I’m also about to become a father in February so that’s a whole new learning experience as well. It’s a pretty incredible time in my life and hopefully that will come across in this book. I had a chance to interview Frances Jacobson Harris, Educator, school librarian, and author of I Found It on the Internet, Second Edition. J. Michael Jeffers: Frances, you have been a high school librarian in a very special school for how many years? Tell us a little bit about your school and also what has changed the most in your tenure? Frances Jacobson Harris: This is my 24th year at University Laboratory High School at the University of Illinois at Urbana-Champaign. Uni is a public laboratory school that serves gifted students in grades 8 through 12. We're small - only about 60 students per class (300 total). The program is rigorous and students are held to high standards. At the same time, teachers have a lot of autonomy to develop curriculum. Pretty much each of us gets to know every one of the students. What has changed the most while I've been here? Technology, without a doubt. It's changed the way we communicate and, for many of us, the way we teach. What hasn't changed is a school culture that values trust, creativity, and community. Lockers stand open, students have free periods rather than required study halls, and most every student participates in extracurricular activities and/or sports. As illustration - the class of 1972 sponsors the Wylde Q. Chicken Spontaneous Generation Award for Coloring Outside the Lines. For the most part, technology has served to facilitate this culture. JMJ: Have these changes been good for the school learning environment? FJH: Definitely. Advances in technology have certainly improved access to information resources and possibilities for collaborative learning. Our student newspaper is entirely online; student journalists now write for an unlimited audience (and the comments on their stories to prove it!). In fact, I wish some of our teachers would do a lot more to transform their teaching with technology. A few still use it in the same way they used overhead projectors. JMJ: What about the students themselves. What drives, motivates, interest them? FJH:: Many of our students come to us with a lot of intrinsic motivation, which is a too-rare, but entirely wonderful characteristic. They are, of course, interested in all the things their peers are interested in - music and other media (including books), friends, hanging out, fitting in, and getting more sleep. Unfortunately, grades are often a big motivation around here. We don't do class ranking, or it would be even worse. Many, though, are just insatiably curious - which is a joyful thing for a librarian. JMJ: Tell us some of the new initiatives or programs at your library. FJH: Our main claim to fame is the team-taught computer literacy curriculum, a semester course which is required of all incoming (eighth grade) students, followed by another semester course in the freshman year. Some of my pieces of the course can be found on our website: http://www.uni.illinois.edu/library/computerlit/index.php. While not exactly "new" (we've been doing this since 1996), the courses are in constant evolution. They have given me a chance to really focus my instruction on information evaluation and responsible use of information and communication technology. These skills are particularly important in our environment because we have never installed Internet filtering software (having the University of Illinois as our Internet service provider obviates the need for E-Rate funding and its mandate of filtering software). Therefore, it's terribly important that we talk, talk, and talk with students about what they find online and how they treat one another online (and in person). The course, as well as collaborative work I do with teachers, gives me lots of opportunities to keep those conversations open. In fact, the vast majority of problems we have do not involve exposure to inappropriate content, but tend to revolve around interpersonal relationships. It is my hope that our approach to information access can serve as a model of what "normal" could be. Yesterday I saw a tweet from Dr. Alec Couros, a professor of educational technology and media at the University of Regina, who posted "I'm feeling pretty stifled with China's Internet filtering, but it still seems more liberal than most western K12 schools." Unfortunately, I think he's spot on about the draconian way we restrict access to the Internet in schools. I'm convinced there are ways to keep our students safe AND to allow them to engage in the online world in enriching and engaging ways - ways that prepare them for the world outside school. JMJ: When you talk to colleagues and friends in the (school) library world, what are their biggest concerns? FJH: Lack of funding for staff and materials are HUGE points of discussion. I also hear a great deal about restrictive technology environments - not just filters, but rules and administrative procedures that tie librarians' hands, making it difficult to deploy Web 2.0 tools, communicate with students and parents, and even update library websites. And of course, many of my colleagues are concerned about the impact of today's high stakes testing environment, one that overly ties a curriculum to preparing students for testing. 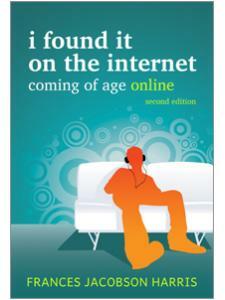 JMJ: You must be very proud of the second edition of I Found It on the Internet. What is especially new and significant in this edition that readers really must know and understand? FJH:: For this edition, I was particularly happy to shine more light on what we now understand about young people's use of the Internet as it relates to safety issues. Recent research tells us that the stranger-danger "technopanic" response is no longer the appropriate one. The vast majority of kids know how to protect themselves from those textbook types of dangers. Those who do not, or who actively court risky online situations, do need our attention. But we do kids no favors when we broadcast a generic "just say no" response. Instead, we need to recognize that young people are active participants in the online world, not just passive inhabitants. Truly, they shape their online world as much as it shapes them. I'm hoping that after people read this edition of the book they'll be better informed about how we can help kids do that shaping, as much as coming to a better understanding of what we can and should do to protect and educate kids. JMJ: Finally, a trick question: Since your recent book went “rather well” would you consider doing another book for Editions? FJH: Yes - when I retire! Actually, I will probably do that (retire) within the next 5 years. Right now I hardly have time to eat. I've been spending every available minute filling this website with content: http://www.cufolkandroots.org.